(Foxborough, MA, 01/13/16) Wide receiver #11, tight end #87 Rob Gronkowski, and quarterback #12 Tom Brady warm up for Patriots practice at Gillette. Wednesday, January 13, 2016. Staff photo by John Wilcox. 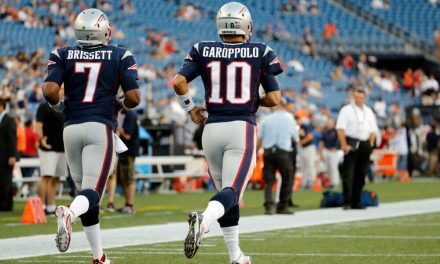 Training Camp begins next week and Rob Gronkowski will be reporting on time according to ESPN. First of all, as long as Tom Brady is playing quarterback, Gronk will be looking for his passes. There really wasn’t a question that Brady would be back this season. The retirement rumors and his contract issues about money were true. However, he needed to think about his future and hold tight for Brady’s so-called decision. 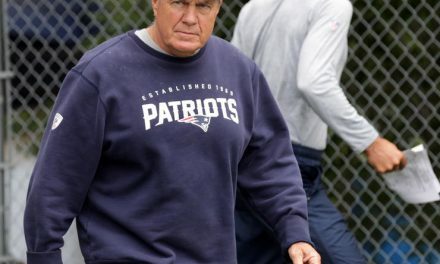 After the dirt-bike press conference nonsense, he had a meeting with Belichick where Belichick gave him an ultimatum. Gronkowski then got his act together and posted a video that he was getting ready for the 2018 season. It’s not known if Gronkowski got a new contract or not. He’s set to make $9 million dollars this season. For comparison, Jimmy Graham tops the NFL tight-end salary list, making around $10 million. Gronkowski has complained about his contract throughout the off season, alluding to his worth. 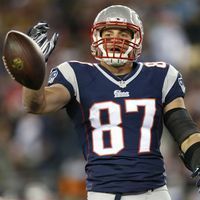 Without a contract for Rob Gronkowski, when Brady retires after the 2019 season the star tight end will either play for another team or retire himself. 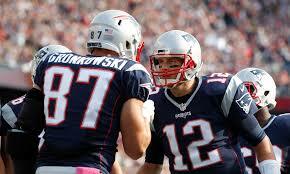 Gronkowski deserves a pay raise making him the highest paid tight end in the NFL. He’s probably the greatest tight end to ever play the position. With next Thursday’s training camp start, the vacation will be over and football season will be right around the corner. 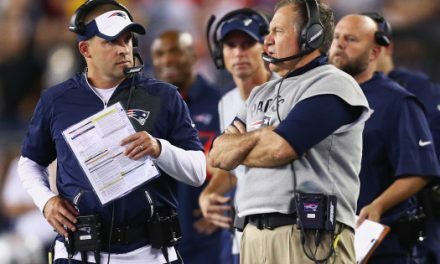 It will be interesting to see how Gronkowski interacts with Belichick on the field. Keep in mind that Gronkowski is a TB12 client, so he’ll be getting treatment there too to optimize his fitness. xecutive. 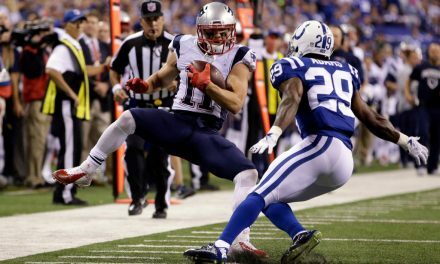 But with Gronkowski be committed to the 2018 NFL season it’s clear he’s playing for Tom Brady, Robert Kraft, and the fans.